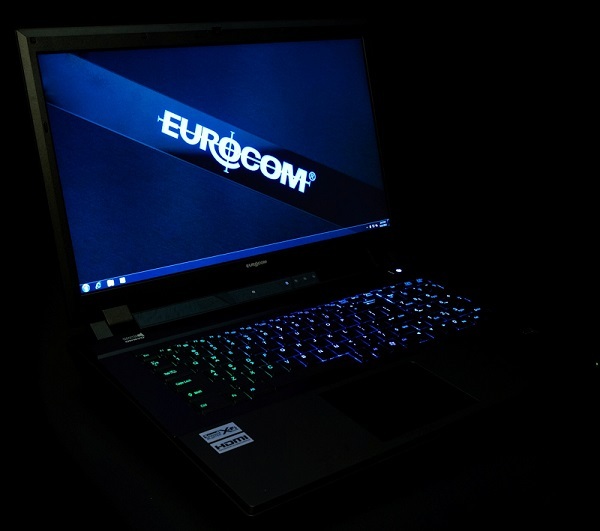 Eurocom upgrade experts have confirmed that the EUROCOM Scorpius can now support dual MXM 3.0b NVIDIA GeForce GTX 980M graphics and have finished benchmarking and stress testing the upgrade. Eurocom Scorpius users can now upgrade their graphics performance from 680M/7970M levels to epic 980M levels. The Scorpius was designed as a high performance notebook computer platform with long lifespan and upgradeability of the CPU, GPUs, memory, storage, WLAN, keyboard and display. The EUROCOM Scorpius can be customized and configured for multiple roles, such as a) Mobile Workstation b) Gaming Super-Notebook c) Professional High Performance Graphics Workstation; d) CUDA Development Station. The Scorpius is built on the Intel HM77 Express platform with original support for NVIDIA GeForce GTX 680M series and AMD Radeon HD 7970M series graphics. Now users can upgrade their graphics performance from SLI 680M levels to 980M levels. The Scorpius is equipped with dual MXM 3.0B slots rated for 100W GPUs and is SLI or CrossFireX-ready. The two MXM 3.0b graphics interfaces are easily accessible and upgradeable. The Scorpius has 4 accessible and upgradeable memory slots ready for up to 32 GB of dual channel 204 pin SODIMM. The EUROCOM Scorpius can fit up to three storage drives with the third drive being co-shared with the optical drive. All of the storage bays are, you guessed it, easily accessible and upgradeable. All features in the Eurocom Scorpius are powered by a 300W AC adapter so the Scorpius is ready to handle any workload. Overclockers will be able to take advantage of an optional second adapter for a total of 600W, more than enough for even the most aggressive overclocks. With a removable 8-cell 89.21W/Hr. Lithium Ion battery, the Scorpius can deliver up to 1.5 hours of full power battery life under heavy use. The Scorpius’ 17.3” Full HD 1920x1080 display can be configured with the choice of glossy or matte panels based on user preference. For users demanding the most accurate color reproduction available in a notebook, EUROCOM has high gamut panels available.